It is possible to run APM (ArduPilot) on Raspberry Pi with Navio. The autopilot’s code works directly on Raspberry Pi using the APM’s Linux HAL. Even though it is possible to run APM on standard Raspbian distribution it won’t work properly as it requires lower latency. Please use Raspbian with real time kernel for running APM, you can get it here. Important! Keep in mind that the code for Navio is in the experimental state. Log in to your Raspberry Pi using SSH or other method and download one of the ready to use APM binaries using wget. If you’d like to build the binary yourself please proceed to the following tutorial. Where 192.168.1.2 is the IP address of the device with the Ground Control Station – your laptop, smartphone etc. APM Planner listens on UDP port 14550, so it should catch telemetry from the drone automatically. To run it specify the –master port, which can be serial, TCP or UDP. It also can perform data passthrough using –out option. Where 192.168.1.2 is the IP address of the GCS, not RPi. The navio source doesn’t compile on the raspian RT image. Instead it generated load of error messages: ‘function’ was not declared in this scope. Cross compiling in Ubuntu using the supplied arm compilers work fine but the resulting binary generates segmentation fault when attempt to execute in raspbian RT. I’ve just tried to compile navio branch on Raspberry Pi and it was successful. Could you please post what you’re doing step by step and also provide the output? ARM compiler that comes with Ubuntu does not produce correct armhf binaries for ARMv6 architecture that BCM2835 uses. Instead use compiler from Raspberry Pi Foundation that is available here – https://github.com/raspberrypi/tools. I’ll add this info to the tutorial. When will ADC be fully functional? We have an example how to read it as well as a tutorial. Driver for ArduPilot is scheduled after the core functionality. Also I have a problem with getting GPS data on the APM mission Planner Side as it shows the 0,0,0 for the position. I could not be able to get it working. 1. Have you connected antenna to the connector on Navio? 2. Is antenna inside the building? Satellite reception in buildings is usually poor. 3. What is the GPS status in APM Planner? 4. Have you tried running the GPS example? 1. Yes. I have connected. 2. Yes, but it is near the window. 3. It is 0.00 and also the other variables about gps are also 0.00. 4. Yes I have tried running the example and it works like a charm. Founds the coordinates after a few iteration. ../mk/find_tools.mk:94: *** ERROR: cannot find gawk – you may need to install GNU awk. Stop. I will see if I get awk installed. This is with the latest realtime image. 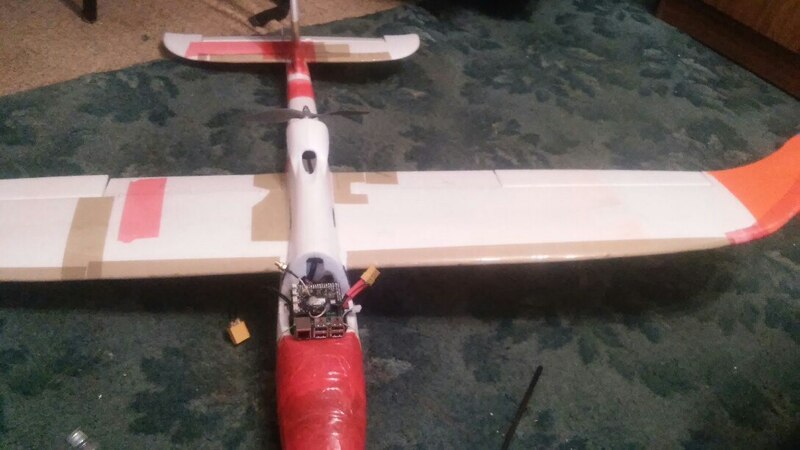 hi, i wanted to know if we can use navio APM for a drone in the current state of progress of this project. It’s been a while since the last update. any news ??? someone tried to make it work ??? Hi Florent, yes you can use Navio as an Autopilot. APM is still in testing, but fully functional. Hello! I flew with NAVIO & Rasperry Pi. Mateusz, thank you for your order! Please note that this document is not updated, please proceed to docs.emlid.com for latest version! Discussion is at community.emlid.com .